I love movies! All types of movies…well except horror. If I watched a horror movie I would not sleep for a week. My favourite genre (aside from period dramas…) is the eco documentary especially to do with plastic free living. Here is a list of my top movies about plastic that will change your life – plus two I am excited to see this year. This movie was the one that really got the Builder to understand why I decided to give plastic the boot. The movie follows Jeb as he stops using plastic bags leading him to question the role of plastic in his life. It is a humorous and relatable documentary, that will leave you thinking that giving up plastic is not that hard. Addicted to Plastic explores the creation and life cycle of plastic, highlighting environmental consequences across the world. This is an in-depth look at plastic and how we have indeed become addicted to what we have been made to believe is a necessary item. I have reviewed this movie previously. From the opening scene I was struck by unease and guilt as mountains of trash were displayed on the screen. Like Addicted to Plastic the movie visits many different countries exposing problems our trash is posing and the stories of people who are looking to make less trash. This was a movie that reinforced the idea that I can make a change no matter where I live. Plus it is narrated by Jeremy Irons...who doesn't love Jeremy?! The land around us is not the only place plastic pollutes. Plasticized takes a journey with 5 Gyres to understand the extent of plastic pollution in the South Atlantic Ocean. It is a harrowing look at how forgotten the waste we create on land has the biggest impact in our mighty oceans. Anyone can see that the water bottle industry is booming. I stopped drinking bottled water years ago and if I was looking to convenience someone on the idiocy of bottled water I would show them this film. The documentary makers created an inspiring insight into the world of how plastic water bottles are made and where the water actually comes from while exploring the social, economical and environmental risks of what most would deem a seemingly harmless item. Ah, the movie that sparked my journey to become a plastic free warrior. 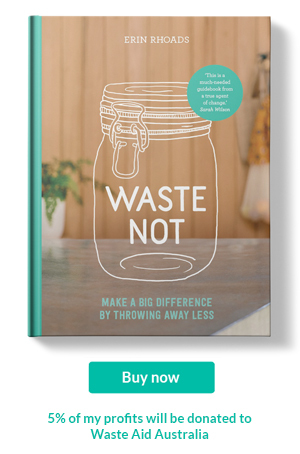 My whole world was shaken upside down by the tale of Jen and Grants experiment to not create any waste for a single year. Like Bag It this movie will have you laughing along with the pair as they go against one another to see who can produce the least amount of waste. Their journey is commendable and will have you thinking that you too can take on the challenge. I won't tell you who wins, so you will have to watch it. This is a story about an 84 year-old-woman trying to take down the third largest industry in the world. Jean Hill, a self-proclaimed warrior, leads historic Concord, Massachusetts on America's first environmental crusade to ban the sale of bottled water. This film is local to Victoria, Australia. After hearing about expansive amounts of plastic in every major ocean, Port Phillip Baykeeper Neil Blake finds the sands of his local beaches are turning into a kind of micro-plastic confetti. In his journey to measure how far the age of plastics has invaded the bay, Neil discovers a growing community striving to protect Port Phillip's health for generations to come. Angela Sun's journey of discovery to one of the most remote places on Earth, Midway Atoll, to uncover the truth behind the mystery of the Great Pacific Garbage Patch. Along the way she encounters scientists, industry, legislators and activists who shed light on what our society's vast consumption of disposable plastic is doing to our oceans, and what it may be doing to our health. Movies are powerful mediums that have the ability to change and spark ideas. It did for me. Please share this list with your family and friends. Let's get a plastic free revolution going!